Property managers and building owners both know that making sure the roof of your building is protected from water damage is not only a preventative measure to preserve the lifetime of your roof but it also helps retain the value of your property. Here is how to deal with ponding water before fixing the problem. Ponding can happen to anyone’s roof and it can be caused by a variety of events such as snow melts, storms, and even heavy rains. 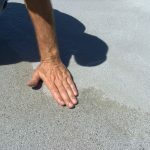 And while the water should naturally drain without causing damage to the roof, it is important to know what is causing the ponding, when action should be taken, and how to fix any issues. Ponding water is something that causes damage over time instead of it being an immediate threat. However, this does not mean it should be ignored. 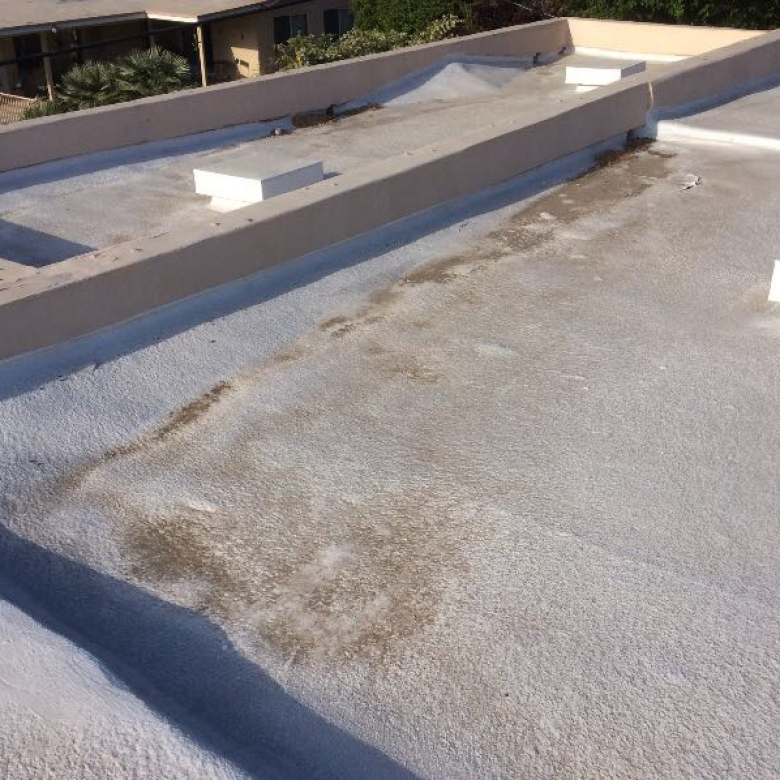 While you probably will not see any damage to roof membranes or see water penetrate the roof – ponding water causes the roof membrane to age more rapidly than necessary. Making sunlight more intense. Water that is standing on a roof focuses the sunlight. This causes UV degrading because the sunlight has been intensified. Degrades more fast. It degrades the material of the roof faster. Collecting debris. 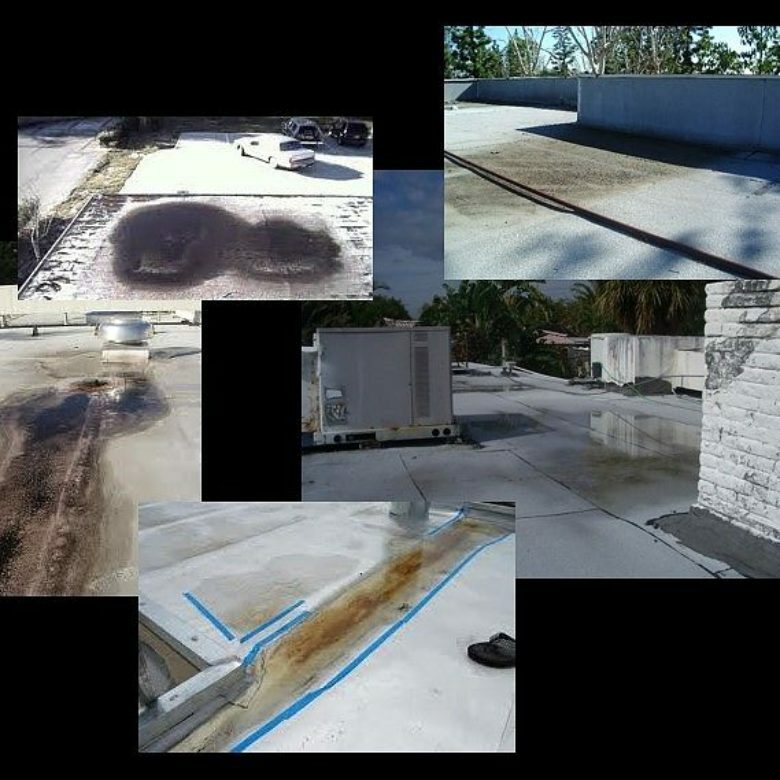 The small puddles are a collection of dirt and debris and once this dries, the sun heats these areas up and puts unnecessary strain on the roof membrane. And while your roof, like every other roof has drain areas, but making sure they work well is important too. This means checking them and making sure they are clean and have the right parts. Another area that requires professional help usual, is that the insulation becomes wet and soggy or can even get crushed from normal wear and tear or foot traffic. 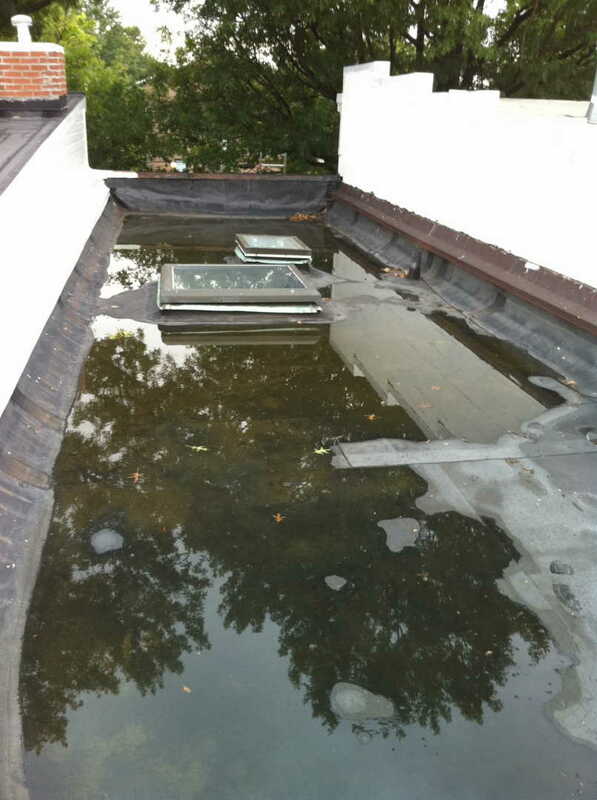 If this water does not evaporate as fast as you would like, it can cause depressions on the roof due to foot traffic. The solution for this is quite easy by having a qualified contractor replace the insulation that is soggy. Another way that ponding water can present a problem is with structural issues or design problems. These structural issues that may be part of the issue can be looked at by a professional roof instructor. 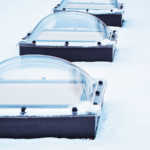 Skylights or RTUs that are not protected. They can cause problems and the solution is the installation of crickets, which are tapered insulation that directs the flow of water. Install the crickets yourself or call someone out who knows what they are doing when it comes to skylights or RTUs. Cut away and lower the insulation that goes to scuppers or drains. Ponding water may not immediately tear up your roof or void the warranty but it will eventually hurt the integrity of your roof. For some of these fixes, you may have to combine methods until you find one that works or in some cases – call a contractor. While most of us know a little about the roof, if you need to know anything more about ponding water or how RoofSlope can help you, please feel free to contact us so we can help.